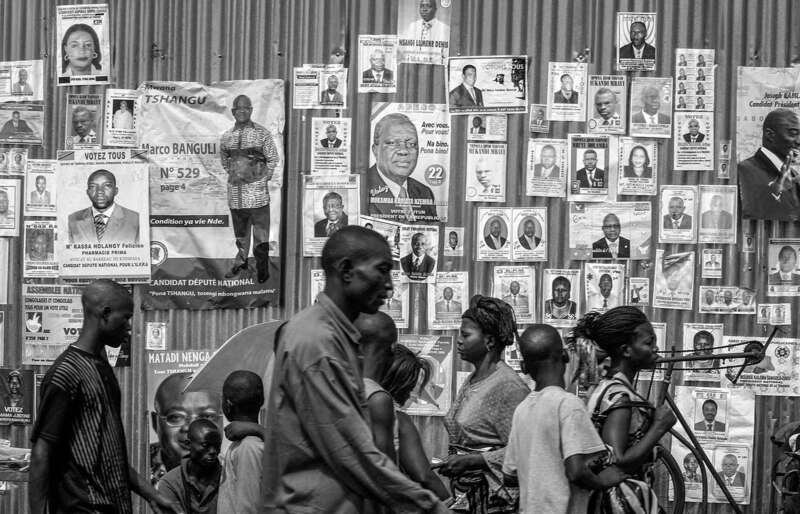 Posters of candidates for presidential and national elections occupy every inch of the wall in Kinshasa Tuesday, July 25, 2006. There are 32 presidential candidate alone. As the presidential and national election draw near on July 30th, the mood in the capital is tense. The war-torn Central African republic last had the election more than 40 years.